The financing of museums has reduced in recent years and this has had a direct effect on the services, such as, for example, the libraries, which have seen their resources for the acquisition considerably reduced. In the Museu Nacional, during the month of April, the Library, Communication and the Friends of the Museum worked in coordination so as to carry out the campaign of fundraising + Friends, + books! The main aim was to ensure that the Library Joaquim Folch i Torres continues to enrich its bibliographical heritage as a specialized centre of reference in art and to offer a quality service to our users. To prepare the crowdfunding campaign, a strategy was designed that included an analysis and segmentation of the target audience and which established the different channels for us to use. We fixed a target forecast for the response that we wanted to achieve of €6,000. Thanks to the collaboration of 178 friends we have managed to surpass this and we reached €7,566.10! 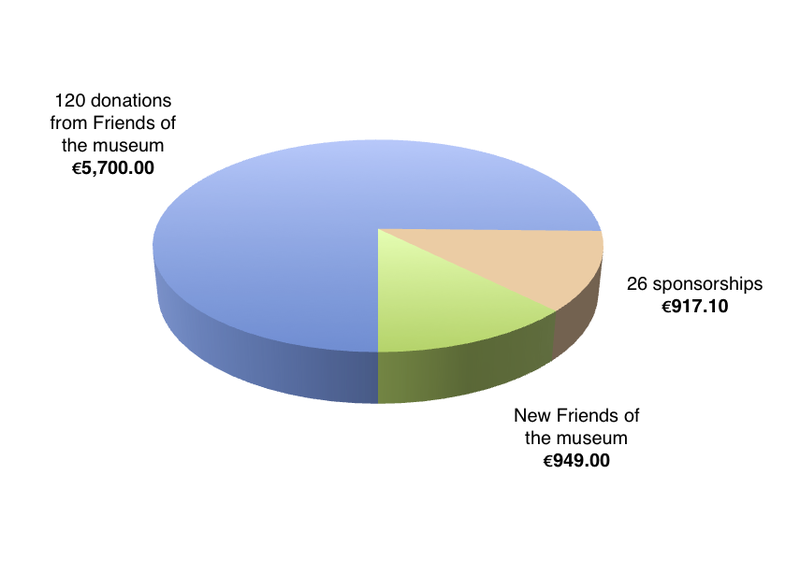 – to make an additional donation to the annual contribution (with amounts suggested of €10, €20 or €50). – to sponsor one of the books from the list of priority acquisition posted on the website, with the option being provided for their name (or the name of the person that they wanted to designate) to appear in the bibliographic register of the book in the catalogue of the Library. – they were encouraged to become a Friend during the month of April with the commitment to allocate the total amount of the membership fee to the acquisition of books for the Library. 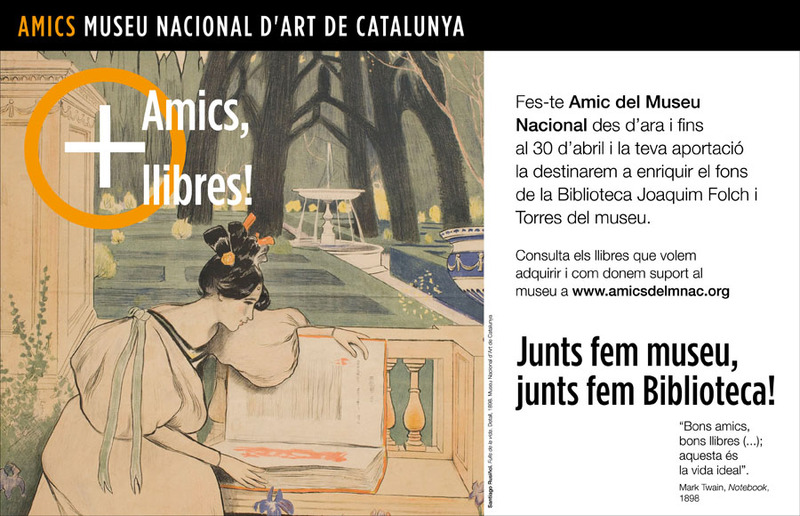 These actions were carried out by means of an e-postcard, e-newsletters of the museum and of the Friends, social media and in the case of visitors by the distribution of a bookmark. The image of the campaign +Friends, + books! is the Fulls de la vida – “The sheets of Life” (1898), by the painter and writer Santiago Rusiñol, a poster with which the artist wanted to make known his last literary work, published in 1898 and that you can see in the new presentation of the collection of modern art of the museum. Do you think it is a good idea to request the collaboration of the society for the acquisition of books for the Library?